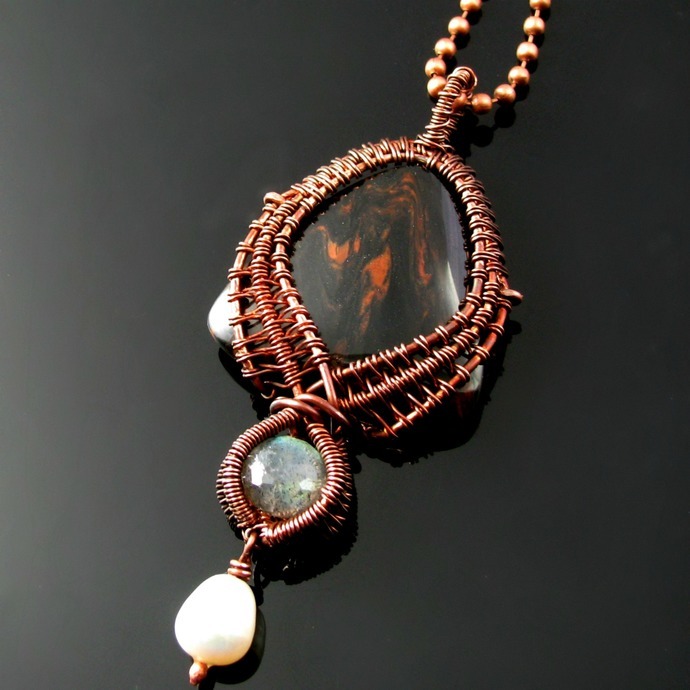 The pendant was inspired by vintage styles. 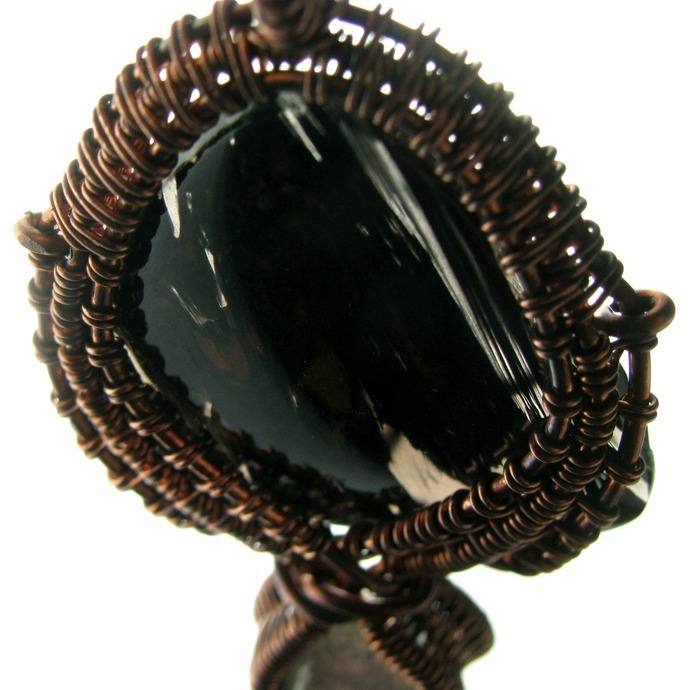 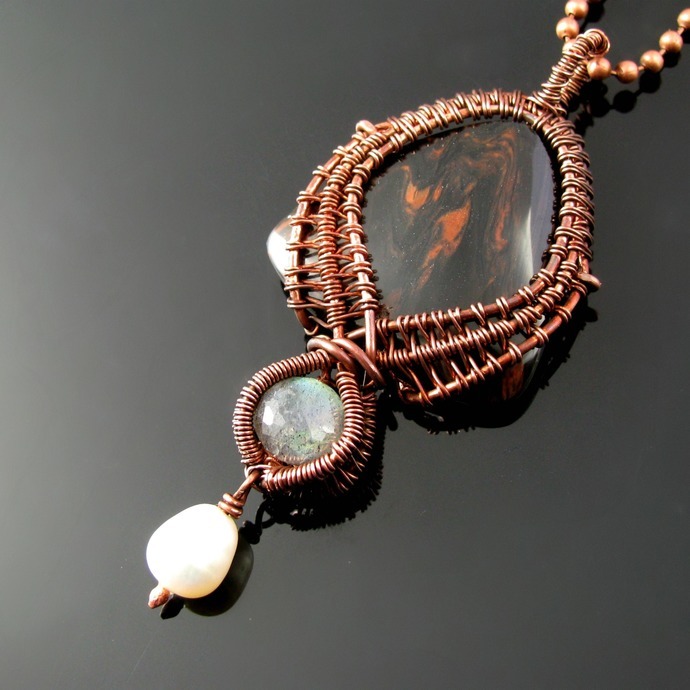 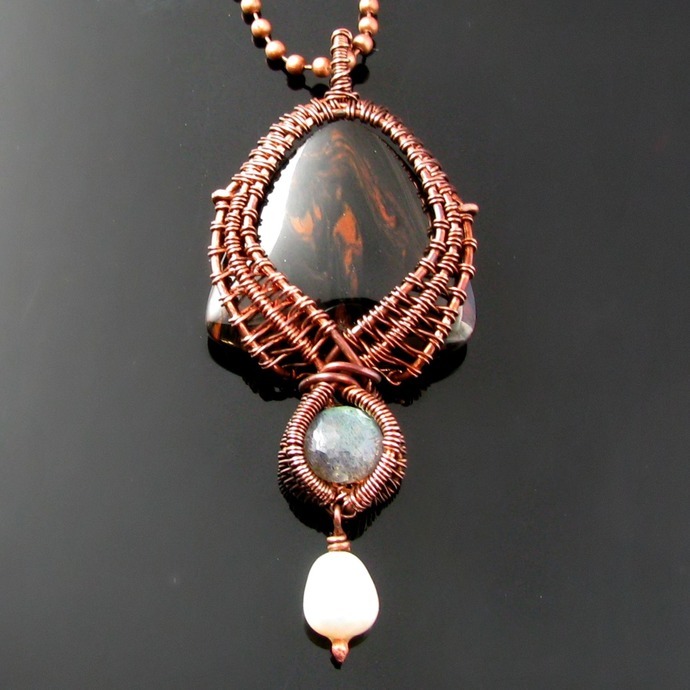 It is made up of a mahogany obsidian triangle cab and a faceted labradorite onion, both caught in woven oxidized copper wire. 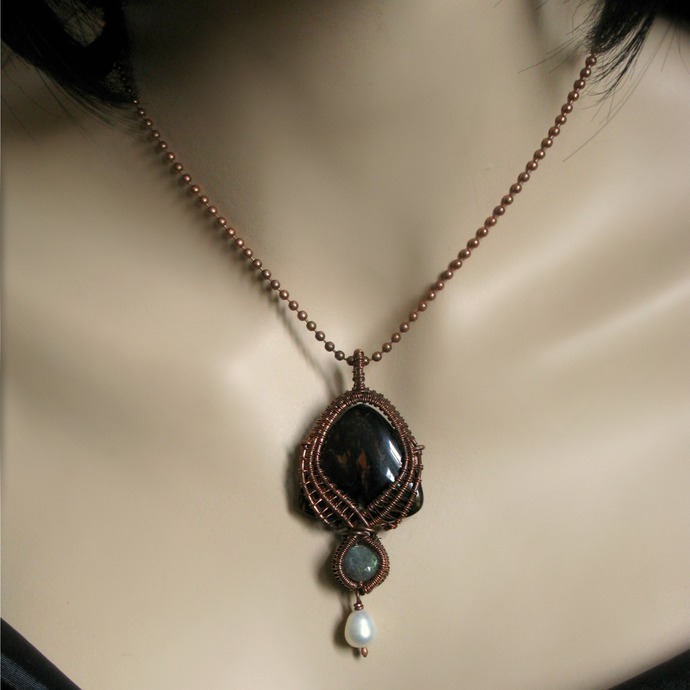 For contrast and movement I added a white freshwater drop pearl dangling from the bottom. 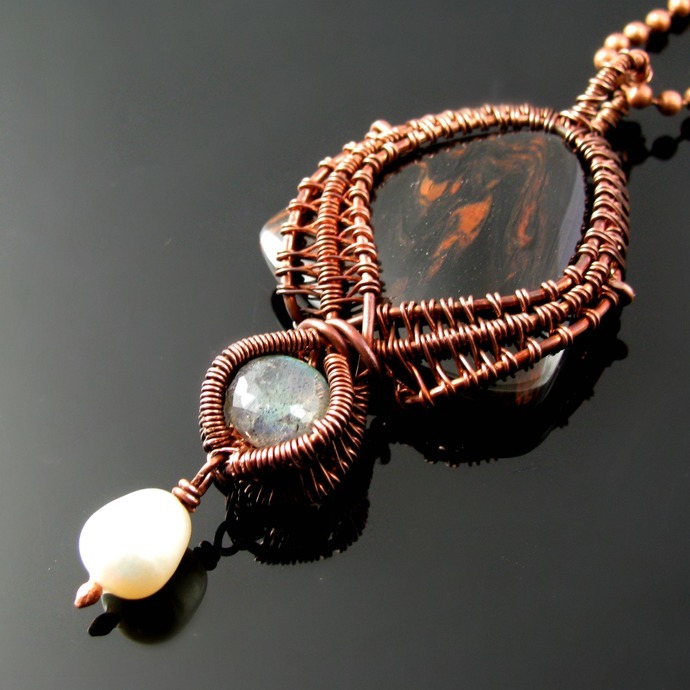 The pendant is 7.5 cm or 3 inch and comes on an antiqued copper tone ball chain.